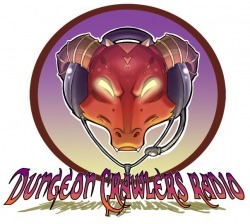 Dungeon Crawlers Radio is a weekly podcast that focuses on gaming aspect of the world of geek. Tune in every week as your hosts Revan and a Guy Named Joe walk you through certain aspects of table top gaming to level up your gaming experience! Grab your cape, throw on your utility belt, and roll your twenty sided die. 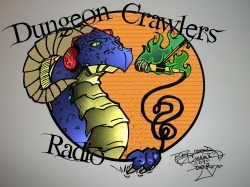 Its time to listen to Dungeon Crawlers Radio. You can now access your favorite podcast on demand. Anywhere, anytime, with no wires or syncing. 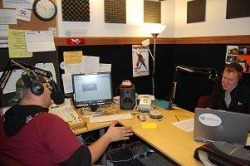 Through Stitcher!! 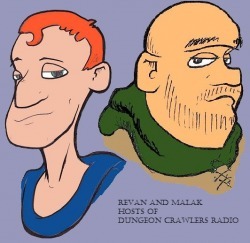 We want to thank Howard Tayler, writer and artist of the Schlock Mercenary webcomic for drawing the awesome caricatures of The two of us.